Boeing and the 787. Nearly there? 747 – Will the line stop? 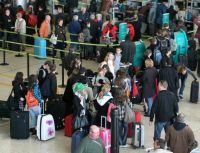 Passengers with overnight accommodation in the vicinity of Dublin Airport can now check-in their baggage during the evening prior to their scheduled flight. This new convenient service gives travellers, particularly with families, the opportunity to off load their luggage prior to their flight, leaving them virtually hassle free on the morning that they travel. 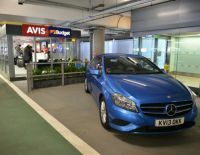 Car rental company Avis Budget (which includes Zipcar – see BTN 14 January) has moved its Heathrow Terminal 5 operation to the fourth floor of the Short Stay parking facility which adjoins British Airways Terminal 5. It is also convenient for the Accor Sofitel, part of the same complex with access via the hotel’s same terminal lift. 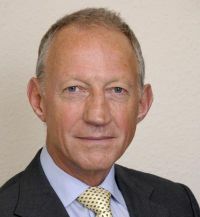 Exeter-based Flybe, which floated on the London Stock Exchange in December 2010, has forecast flat revenue and rising costs. It now expects group revenue for the year ending 31 March 2013 to remain in line with 2011/12, at the lower end of its previous guidance. British Airways CityFlyer at London City Airport says its service to the Balearic Islands has proved so popular that it is adding more this winter. Clearly its convenience to Canary Wharf is proving ideal for members of that community looking for a short break. The 10 minute gate check-in prior to departure time also helps. Kinderland, landside in the Munich Airport Center, has re-opened. It now features bright, cheerful colours and materials, larger rooms, lots more for the little ones to do, and a separate "Parents' Lounge". Tell your friends about Business Travel News. Subscribe above for your Monday morning fillip. BTNews is committed to protecting and respecting your privacy. Your email address will not be passed on to a third party. Advertising welcome too. US regulators last Friday approved a revamped battery system for the Boeing 787 Dreamliner, a crucial step in returning the high-tech jet to service after it was grounded in January because the plane's lithium-ion batteries overheated. At a briefing in London today (Monday 22 April) Larry Loftis, vice president and general manager of the 787 programme said that Boeing was pushing ahead to get the fleet flying again as soon as possible. Over 30 engineers were now in Japan dealing with ANA and Japan Air Lines. No date has yet been given for the first aircraft to go back into service but it expected to take initially five days to modify each 'plane. Flight Global is following the issue closely and is the best source for up to date information. All good things have to end. Is the Boeing 747 about to reach the end of its life? If true it will be a very slow death with passenger airline versions flying until at least 2030. 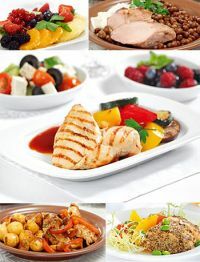 The Latvian state airline Air Baltic is to become the first low-cost carrier to introduce a pre-ordered food service. From May it will introduce an online meal ordering system. All passengers will be able to select exactly what they would like on their meal tray. The airline offers Business Class for seats at the front of the aircraft with the centre one of a three left empty. Hilton Worldwide has announced the official opening of the first DoubleTree by Hilton in South Africa – the 183-room DoubleTree by Hilton Cape Town – Upper Eastside. Formerly the Upper Eastside Hotel and completely renovated, the upscale full-service property is located in Cape Town’s upcoming district of Woodstock, a dynamic area which is home to an abundance of fashionable art galleries, boutiques, music bars and trendy restaurants. The hotel becomes the fifth Hilton Worldwide property in South Africa and the third DoubleTree by Hilton in Africa. 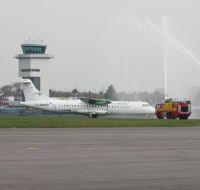 Aer Arann, owned like Southend Airport by transport infrastructure company Stobart Plc, has announced new routes from Dublin to both Birmingham and Manchester airports. The flights, adding to established Aer Lingus mainline frequencies, will be branded as Aer Lingus Regional and flown by brand new ATR 72-600 turboprops. 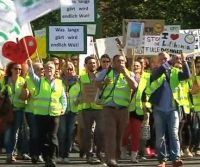 Travellers on Lufthansa have been put in an awkward position with the airline’s main trade union on strike today (Monday 22 April) at very short notice. The Verdi union, representing thousands of staff at the airline, rejected as "unacceptable" an offer for wage increases from the company. Travellers to Nepal on Nepal Airlines can now book tickets at all IATA travel agents in the UK prior to travelling to the Himalayan country. It is going to be very popular with passengers accompanied by children and for those who find that the film has not quite finished as the plane is about to touch down. 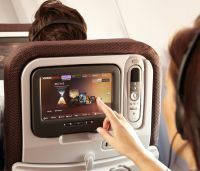 Virgin Atlantic has announced that passengers can now turn on their in-flight entertainment systems prior to take-off and leave it on during landing. Marriott International continues to expand its joint venture with AC Hotels with the opening of two new properties – the AC Hotel Nice on the French Riviera and the AC Hotel Sant Cugat in Barcelona. The AC Hotels by Marriott brand, launched in 2011, and now offers over 80 hotels across Europe. Air New Zealand and Virgin Australia are to launch Australasia’s longest non-stop flight, nearly seven hours between Christchurch, on New Zealand’s South Island, and Perth, Western Australia. The route was last flown over 20 years ago. The twice weekly direct service will operate through the peak demand period from December 2013 until late April 2014. Flights will be operated by two-class Boeing 767 aircraft. The annual French grand slam tournament tennis event at Roland Garros is to be sponsored by Emirates. 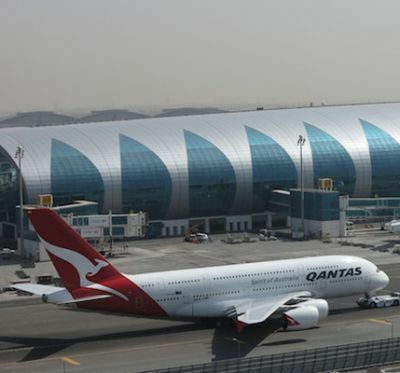 The Dubai-based carrier said it would back the competition, which runs just prior to the Paris Air Show in May. 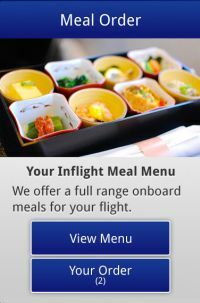 After a successful introduction of a new in-flight entertainment system from the beginning of the year Japan Air Lines last week increased it functionality by introducing an in-seat food ordering system on the prestige Heathrow – Narita route. With it summer scheduled launched Manchester Airport expects to pass the 20m passenger mark in 2013, thanks to the 17 new destinations on offer this summer. 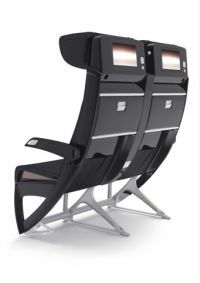 Making a debut at the recent Hamburg Aircraft Interiors Expo was an interesting cabin seat design by Italian manufacturer Optimares. It has been originated by the British company Factorydesign with the name Sabre Economy attached. M.A.G (Manchester Airports Group) has moved quickly in a practical way of demonstrating its commitment to the new ownership of Stansted Airport.